Gunfight at the O.K. Corral: The Constitution vs. central government corruption! OK maybe I'm not going to be in Tombstone, Arizona BUT from October 16-18th, 2014, I will be in Tucson, Arizona for my "Mother Should I Trust The Government? Book Tour" where Gunfight At The O.K. 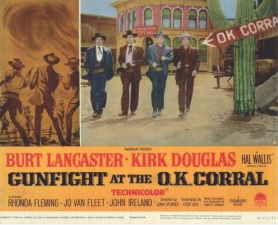 Corral was filmed in 1957. Our American Republic is in a "Constitutional Gunfight" as Obama Progressives, Harry Reid Renegades, Pelosi Plutocrats and Republican Rinos denigrate, obfuscate and annihilate Constitutional Law as articulated and delineated by our Nation's Founding Fathers! On Thursday, October 16th, I have the honor of speaking to UA-Young Americans For Freedom & UA-College Republicans at the University of Arizona. I know, I know... you ASU-Sun Devil fans out there are thinking: WOW what a dedicated PATRIOT Jake, as graduate of Arizona State University you are willing to go into Wildcat Country! If somebody has to do it, it might as well be me.LOL! 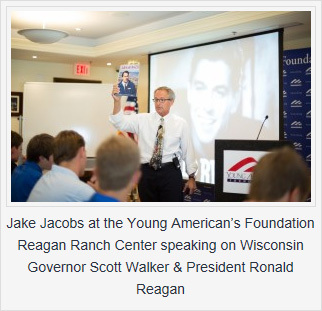 On a serious note I love speaking to Young Americans For Freedom because NOW more than ever we need their generation to be in this Fight to KEEP our Republic! 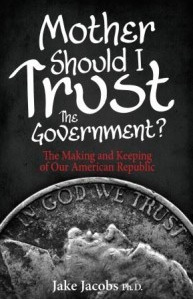 On Friday, October 17th, I'll be addressing the Pima County GOP on The STATE versus LIFE & LIBERTY and then on Saturday, October 18th, I'll be teaching on my books Mobocracy and Mother Should I Trust The Government? & speaking at the Liberty Amendment Dinner at the Hilton El Conquistador in Tucson. The theme that I will be stressing over and over again in Arizona and it has been THE theme I have been teaching and speaking on for almost 30 years now is the profound preciousness of our American Republic in World History and the absolute necessity to fight for it's survival versus the ever growing and encroaching corrupt Central Government in Washington D.C. It was David Hume who once said, "It is seldom that liberty of any kind is lost all at once." Unfortunately the road to serfdom is quickly and incrementally approaching a highway of government slavery as it destroys our precious Liberty, a day at a time. We must work together to awaken the American people about the war that is within our midst before it exponentially explodes and it is too late-we must do this for our children and our children's children. Long Live Liberty & The American Republic!